Gaspard Dughet (1615-1675), known as Le Guaspre abroad, or colloquially in his native Rome as Poussino, was most widely recognized by the name he sometimes signed to his paintings, Gaspard Poussin. This last name was perhaps his most artful invention in a career that spanned the height of the Italian baroque, and left its mark on the walls of the Corsini, the Colonna, and the Pamphilij palazzos. However, this fateful change of name faded his historical presence. Born of modest means to a Roman woman and a French pastry cook, Gaspard Dughet’s boyhood was whiled away in the streets of Rome and on hunting trips into the Campagna. At an age proper to his seeking apprenticeship in support of his burgeoning drafting skills, Gaspard’s sister married the renowned painter of the era, Nicolas Poussin. The young Gaspard studied henceforth to artistic maturity under him as his master. Upon earning his independence from the Poussin atelier, Gaspard Dughet changed his professional name to Gaspard Poussin, explicitly capitalizing on the market advantage of brand recognition and pedigree. Gaspard’s specialty in painting was classical compositions of tempests with staffage set in and around the Roman Campagna. The celebrated nuanced traits that endeared Gaspard to many connoisseurs led to his being identified in 1963 as the enigmatic and beloved 17th Century painter of unsigned paintings, the so-called Silver Birch Master. Not long thereafter a counter-claim emerged that the elusive Silver Birch Master was rather the young Nicolas Poussin. The dispute was never resolved. Today it is difficult to find the names by which Gaspard Dughet was known without greater references to his master, Nicolas, or without allusions to his recently more popular contemporaries, Claude Lorrain and Salvator Rosa, two artists that neatly bracket Gaspard’s difficult to define form of landscape with respective images of tranquil idylls and dangerously wild splendor. The displacement of Gaspard taking the name Poussin as a translucent overlay to his own surname of Dughet, is a way of making a khôra, or clearing, for a new entity to emerge that is forever neither Nicolas Poussin nor Gaspard Dughet, and is also always a conjoined Nicolas Poussin and Gaspard Dughet. This space of the khôra can be assigned complex traits, but can never be axiomatically resolved. While Gaspard may have strategized toward the short benefits of being recognized as the standard bearer of a generational commodity with intrinsic value, the Poussin-styled picture, he paradoxically relegated his name/s to be forgotten or footnoted to the service of his master’s reputation in centuries of attributions that reduced his practice to that of the always lesser Poussin. Perhaps even when it was his very hand that created the master status works in question. 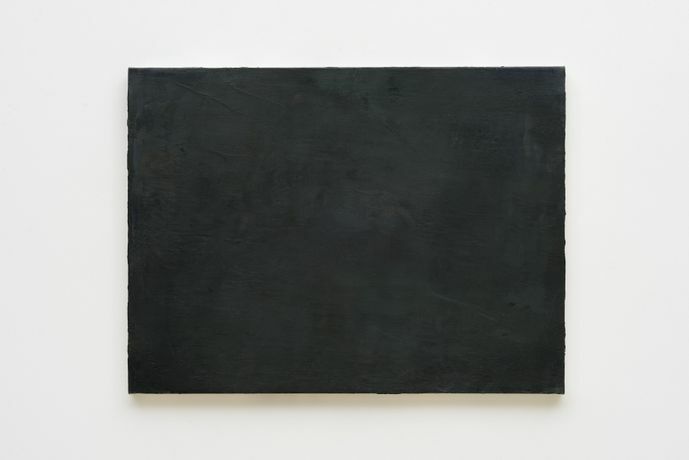 In the cabinet of the gallery, American artist David Schutter contemplates these ontological dilemmas and para-logics in Gaspard’s Room, an intimate engagement with one of his paintings and a group of his drawings. The painting is rendered in 1-to-1 dimensions and materials from a source painting by Gaspard in the collection of the Galleria Nazionale D’Art Antica in Palazzo Corsini, Rome. Made without aid memoires after Schutter studied the picture in situ at the Palazzo Corsini, the resultant painting is an object of inquiry that registers as both familiar and estranged, evoking the handling of Gaspard’s signature silvery tones, subtle variations of space, and patches of reflective light. Accompanying the painting is a wall of drawings on the source painting’s staffage and the planes of landscape they engage. Staffage, or small figures that appear in landscape paintings, often provide reference to scale or narrative. These accessories to a landscape are essential; yet lead an oblique and ephemeral existence. They are supportive material appearing in folds of the picture that if peered upon for close inspection will disappear into daubs of color. 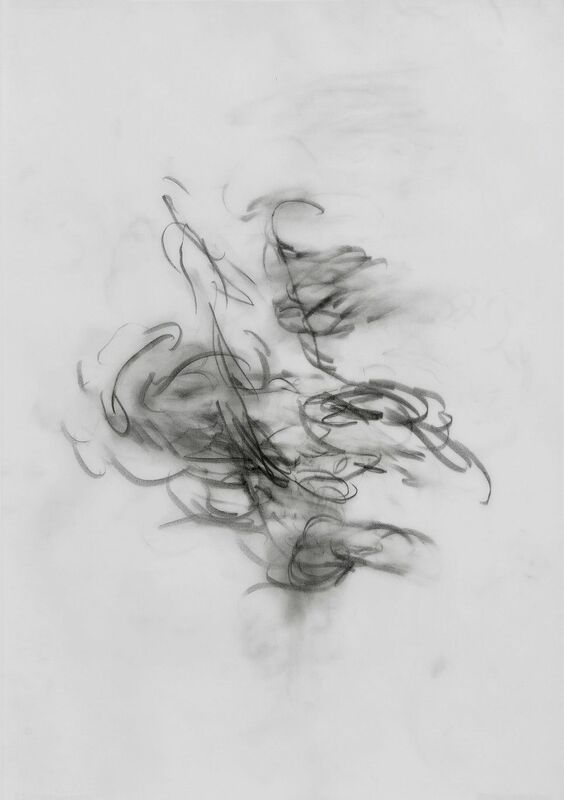 Schutter’s drawings focus on these fragmentary and intangible figures and their grounds. 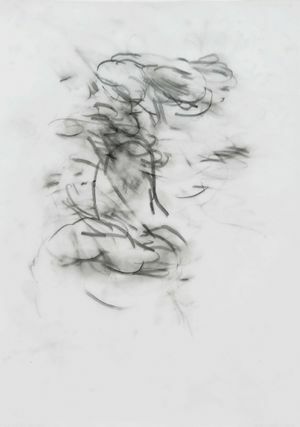 David Schutter (b. 1974) has had solo exhibitions at the Gemäldegalerie, Staatliche Museen zu Berlin; the Scottish National Gallery of Modern Art, Edinburgh; the Istituto Centrale per la Grafica, Rome; the Museum of Contemporary Art, Chicago; with Aurel Scheibler, Berlin; Magazzino, Rome; Sikkema Jenkins & Co., New York; and Rhona Hoffman Gallery, Chicago. His work has been included in exhibitions at the Fondazione Memmo, Rome; the David Roberts Art Foundation, London; Le Magasin, Centre National Art d’ Contemporain, Grenoble; and the American Academy in Rome, where the artist was in residence in 2015-16 as recipient of a Rome Prize.